At the very end of the Appalachian Mountain chain lies a picturesque rumbling, rocky river in central Alabama. The Coosa River, where kayakers, fisherman and festival-goers come from miles around, is a wonderful place to try out a new adventure. Here are 3 ways to make the most out of one of the state’s best recreational resources. 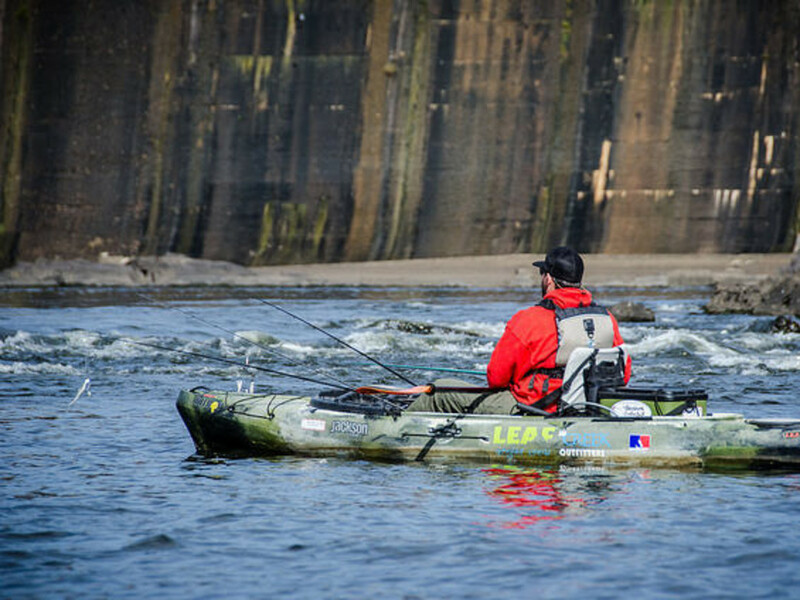 What many people don’t know is the Coosa River in Wetumpka, AL, is considered one of the best beginner whitewater rapid series in the country. Because of the Walter Bouldin Dam (which is where you’ll be dropped off to begin your journey), the Alabama Power Company releases a minimum of 2,000 cubic feet per second each day, with up to 10,000 cfps being released mainly in the spring and summer for recreational and spawning use. This constant flow of water, coupled with a unique compilation of rock formations created by a meteor strike millions of years ago, make for the perfect formula of exciting, yet maneuverable rapids. Just keep in mind the rapids are barely visible on the days when the water is particularly high. The Coosa features three major sets of shoals: River Falls, Moccasin Gap and Pipeline. Be sure to dock your kayak and enjoy the swings and hammock on the island after River Falls. The most well-known and largest of the three is Moccasin Gap (Class III rapid), however, which has a fantastic rock formation large enough to relax on and take a breather, as well. 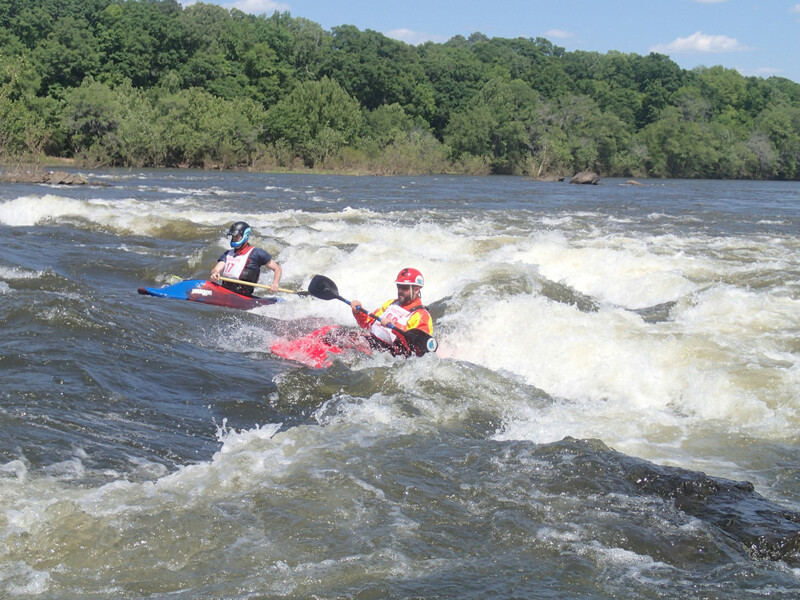 Outfitters: There are two outfitters on the whitewater portion of the Coosa. Coosa Outdoor Center, 172 River Rd., Wetumpka, 334-201-5510. This outfitter also offers some superb on-site camping options. Tip: Because of the rapids, a kayak is a better fit for this river than a canoe. And if you want to float, make sure the cfps are where you need them to be, or be prepared to use some major elbow grease. Some of the best large spotted bass river fishing in the nation can be found on the Coosa, along with other healthy Alabama game fish like largemouth and redeye bass. You’ll want to park your rod close to the dam to make it most worth your while, but some wonderful fly fishing can also be experienced. However, the river’s rocky topography can sometimes make it difficult to access by motor boat. Tip : An Alabama organization dedicated to keeping the waters of the Coosa safe is the Coosa Riverkeeper Organization. Throughout the summer, a professional team of volunteers collects samples of water quality conditions at 14 popular recreational spots throughout the state, with Wetumpka being one of them. View results here. 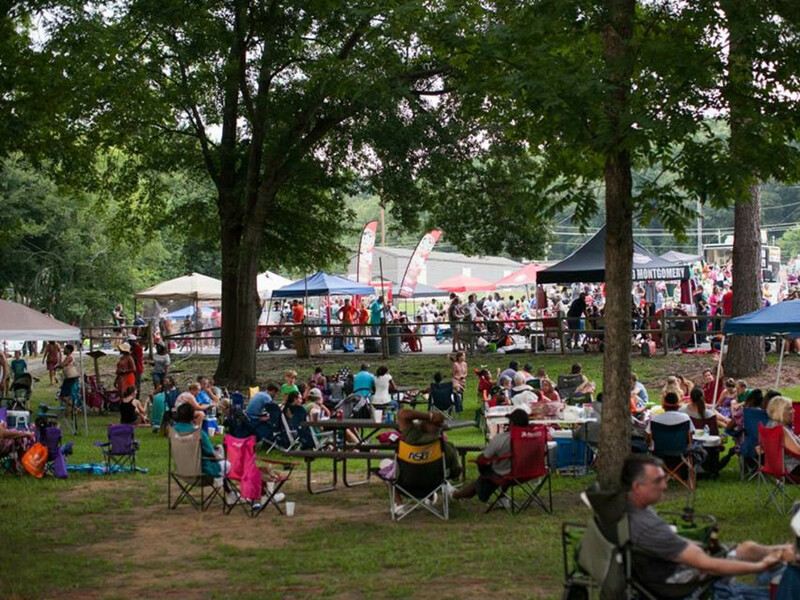 There are three jam-packed festivals that take place adjacent to (or on top of) the Coosa each year. And with several public boat ramps located throughout the city, there’s no reason not to dock your boat and join the party. Tip: They’ve started a 5k in downtown the night before the festival that includes glow-in-the-dark apparel. 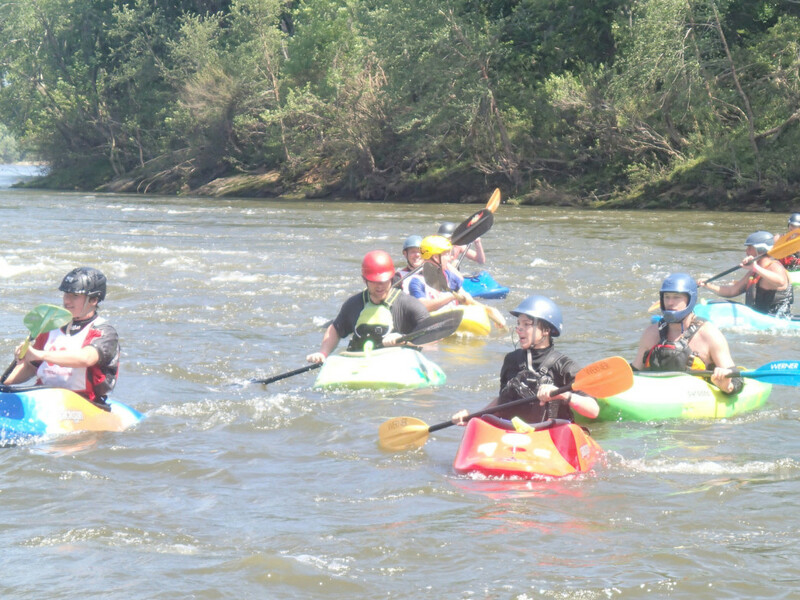 Coosa Whitewater Festival: Hosted by the Coosa River Paddling Club each year, this three-day festival includes a sporting event where professional kayakers take on the rapids and put on a show for spectators. Hobby kayakers can also take part with their own paddle down and stop at Moccasin Gap to enjoy the show with others. There’s usually some tents up and a spread with live commentating. Tip: If you don’t have your own gear, you’ll need to rent from a local outfitter. But be sure to plan ahead, because the event grows in popularity each year. Christmas on the Coosa: Named one of the top ten events in 2013 by the state’s tourism department, this particular festival in December makes our list because of its focus on the Coosa. The day-long celebration involves several events and festivities, but our favorite is the one-of-a-kind nighttime boat parade featuring Santa Claus skiing in and a spectacular fireworks show following his entrance. Tip: Over 10,000 people reportedly make a trip to this event each year which can get a bit congested. Park on the north side of the Bibb Graves Bridge and walk over.